Collins Booksellers - How Can I Become a DAFOR? by Mohammed Al Husein, 9781386304890. Buy this book online. Here is the story of Meshari, a 10th grade student from the oasis of Al Hasa, Saudi Arabia, whose mediocre performance at school leaves him desperate for help. His fear of failure leads him to meet five older outstanding students (DAFORs) who teach him an important lesson: academic excellence depends not only on a student's intelligence, but also on the extent to which he practices the five habits of outstanding students. Through his relationship with the DAFORs, Meshari learns those habits, which can be acquired by just about anyone. DAFOR is a word that has been used in some Arabian Gulf regions as a colloquial expression to describe a hard-working student. 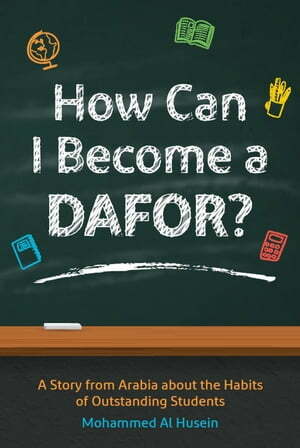 How Can I Become a DAFOR? is for students aspiring to excellence, parents hoping to see their children succeed, and teachers desiring to motivate students to reach their top potential.